Living life should be a beautiful thing every single day. For me, it is a work in progress. A conscious effort has to be made. Every day, I have to be able to turn within and find my reality. for the first time, to dance to a song that comes from within you. 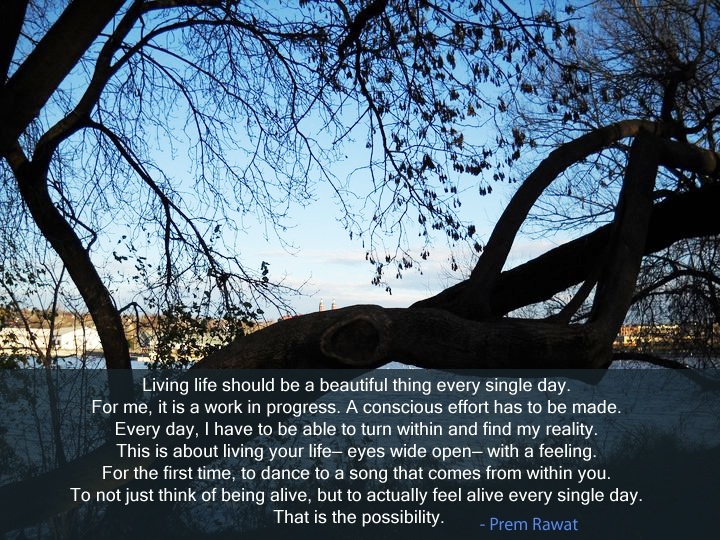 To not just think of being alive, but to actually feel alive every single day.